Our equipment is state-of-the art and well maintained to ensure reliability on site where you need us. Based in Noble Park, NIS is located close to Melbourne’s major arterials, getting us on the road quickly to your project. 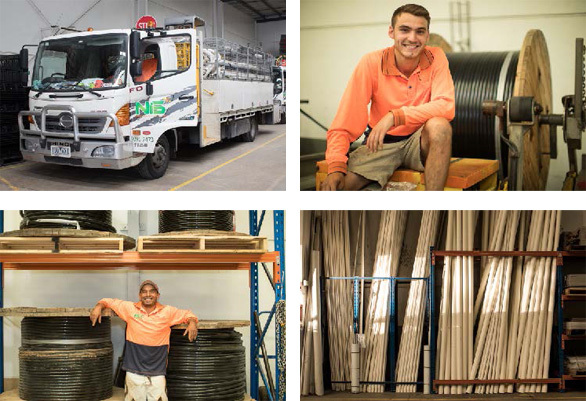 Our Head Office is spread over 2000sqm, housing our modern fleet and ensuring we have stock on-hand, ready to respond quickly to your infrastructure needs. Project management and office staff are based at our Head Office and are in close contact with our field crew, further adding to our responsiveness. All NIS equipment is maintained to the highest of mechanical and safety standards, ensuring reliability on site where you need us to deliver.